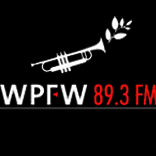 The People For WPFW | The New Website For Concerned Members and Supporters of WPFW, 89.3 FM, wpfwfm.org, jazz and justice radio in the nation's capital, Washington. DC. This website is an independent, community-owned media outlet with no organizational connection to WPFW or the Pacifica Radio Foundation. Whose Station? Our Station!